New Zealand motion-picture director and screenwriter, known for her films articulating the struggle of social outcasts and misunderstood women. Born in Waikanae, Campion attended Victoria University in Wellington, New Zealand, and Sydney College of the Arts in Sydney, Australia, before studying filmmaking at Sydney's prestigious Australian Film, Television and Radio School (1981-1984). She demonstrated her talent almost immediately with her short student film Peel (1982), which won the 1986 Palme d'Or award for best short film, or short, at the Cannes Film Festival. 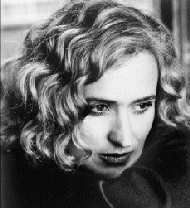 After two more shorts, Campion directed Two Friends (1985), a critically acclaimed film for Australian television.. Campion came to international prominence with her first feature, Sweetie (1989), a darkly humorous and unsettling portrait of an emotionally disturbed woman's struggle to maintain a relationship with her family. Her next film, An Angel at My Table (1990), is the story of an eccentric New Zealand novelist who, as a young woman, narrowly averted a lobotomy to be performed by overzealous doctors. Though originally made as a three-part Australian television series, the complete movie was distributed internationally and established Campion's reputation as a leading filmmaker.. Campion achieved still greater commercial and critical success with The Piano (1993). Set in the 19th century, the film tells the story of a Scottish woman who is sent by her father to New Zealand to marry a farmer. Once there, she gradually develops a passion for another settler. Celebrated for its rich compositions and mesmerizing tone, The Piano shared the Palme d'Or award for best picture at the 1993 Cannes Film Festival with Bawang bie ji (Farewell, My Concubine, 1993), by Chinese director Chen Kaige. The film also won the award for best original screenplay at the 1993 Academy Awards, and Campion was nominated for best director. In 1996 she made the film Portrait of a Lady, based on a novel by American writer Henry James.